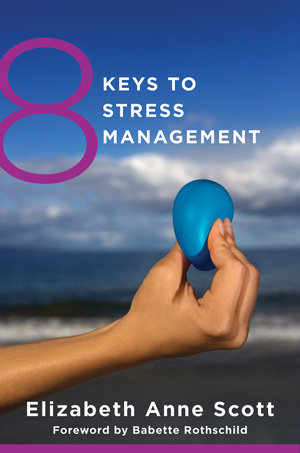 8 Keys to Stress Management - Description | W. W. Norton & Company Ltd.
Easy strategies for dealing with the near-universal experience of stress. Stress has become a near-universal experience as well as a rising public health concern. According to many measures, people today are dealing with stressors that are greater in number and severity than in the past several decades, and this stress is taking a toll on our collective wellness. Bringing considerable content from her popular stress management Web site on About.com, Elizabeth Scott distills information about stress management into central ideas and strategies for consumers. These include learning to reduce the stress response and stressors, practicing long-term resilience habits, and putting positive psychology research into action. These various perspectives provide a multilayered framework for understanding stress and approaching stress management that is inspirational, action-oriented, and backed by foundational and recent knowledge in the field. The quick-to-read “8 keys” format of the book can be utilized on many levels so that busy readers can quickly find relief from stress.